Most people are familiar with ‘wet’ salt therapy. Whether you’ve put salt in a bath, had a saline solution treatment or used a Nettie pot to clear your nasal passages or gargled with salt water, wet salt has its benefits. Dry salt is different and the drier the salt the better. That is why HLC Wellness Salt protocols include heating the salt prior to putting it into the salt chamber. Heat ensures that all moisture is evaporated so when it is crushed and ground into micro particles and inhaled, the salt particles can do their best job. Dry pharmaceutical grade salt is heated and then it is ground and crushed into very tiny micro-particles. These dry aerosol micro-particles of salt are then dispersed into the salt room during a typical session. As the person relaxes in the salt room the micro-particles are inhaled. The particles penetrate deep into the lungs, bronchi, bronchioles and alveoli. While inside the salt room, the non-inhaled salt particles fall onto the skin. Halotherapy benefits adults and children alike as well as athletes and animals. It is natural and safe and there are no side affects. A majority of people who visit salt rooms on a regular basis may find relief from a variety of respiratory conditions such as asthma, allergies, common cold, bronchitis, COPD, cystic fibrosis, and more. Dry salt therapy is great for people who also have particular skin conditions such as eczema, psoriasis, acne, recovering from cosmetic surgery, etc. 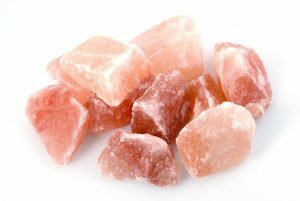 However, one does not need to have any conditions to enjoy the benefits of dry salt therapy. People are exposed on a daily basis to pollutants, airborne diseases, bacteria, allergens and other irritating and harmful environmental irritants. Halotherapy is an excellent way to cleanse and detox the lungs as well as invigorate the whole body with increased lung capacity and oxygen intake. For general respiratory hygiene, once or twice a week visiting Lake Mary Salt Room’s facility will enhance the lung capacity, boost immune system, reduce stress and aid better sleep. More chronic and acute respiratory conditions require increased frequency and consistency of the sessions. 3 – 7 times a week for a period of 14 – 21 days will help to manage the symptoms and provide relief over time. Halotherapy is recognized as safe and effective wellness practice for preventive and restorative health care. It is not a medical treatment and does not offer a cure. Halotherapy is not recommended for people with contagious diseases, fever, open wounds, cancer, severe hypertension, mental disorders and active tuberculosis. Pregnant women should consult with their doctor before using halotherapy. Anyone with serious health concerns need to seek proper medical advice and care. There are many clinical studies and research, along with testimonials from customers, as to the health benefits and efficacy of salt therapy.